As part of this year’s MSPO trade fair, the Industrial Research Institute for Automation and Measurements PIAP hosted Andrzej Duda, President of the Republic of Poland. 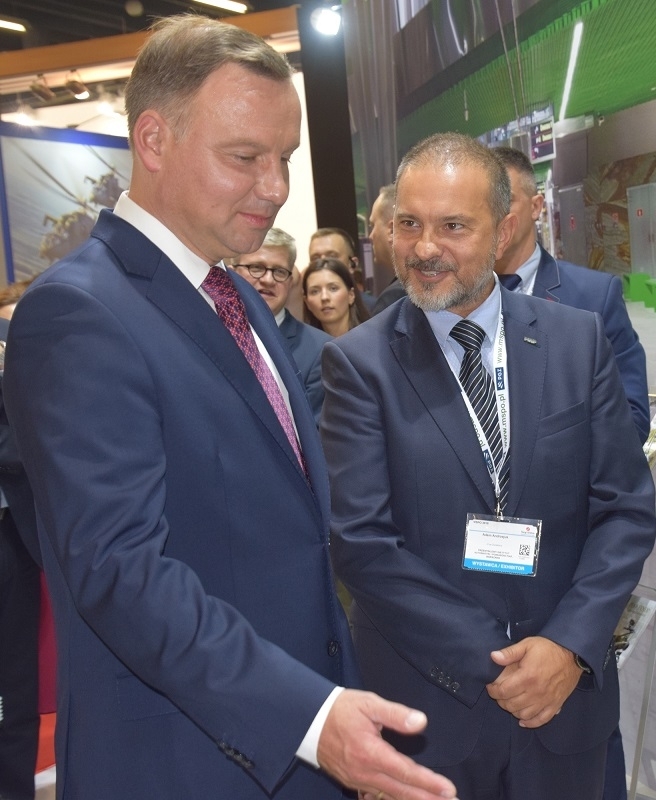 5 September 2018 – on its second day, the 26th International Defence Industry Exhibition MSPO in Kielce was visited by Andrzej Duda, President of the Republic of Poland. The president met with the representatives of the Polish arms industry, visited the stall of the Industrial Research Institute for Automation and Measurements PIAP. The visit allowed the president to see our latest offer for the Polish Armed Forces and internal security forces. 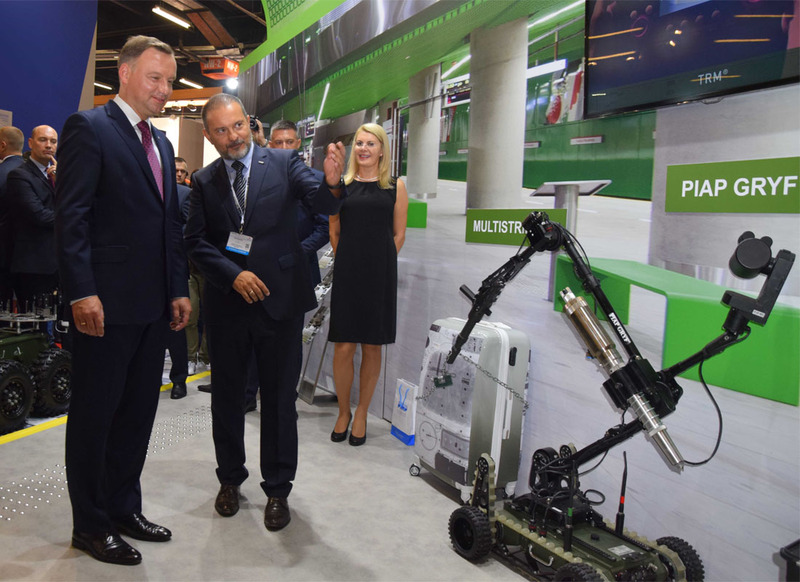 The president showed interest in the Polish mobile robots presented by the Assistant to the President of the Institute for Intelligent Security Systems – Adam Andrzejuk. It was the first visit by the head of state at the PIAP stall. The President expressed his recognition of the achievements of the Institute exporting its product abroad with a successful long-term presence on the international market. So far, PIAP products have been sold to 18 countries. More information on mobile robots, special-purpose vehicles, equipment and CBRN accessories offered by PIAP are available at www.antyterroryzm.com. The President of the Republic of Poland took honorary patronage of this year’s MSPO trade fair.